Revision3, the Internet TV network, posted some hefty numbers to cap off its successful 2011. While its flagship show Diggnation decided to end its run, the company added a myriad of YouTube talent to its stables last year including shows like Epic Meal Time, The Philip DeFranco Show, Film State, Soldier Knows Best, TechnoBuffalo, Ty’s iHelp and Nixie Pixel. 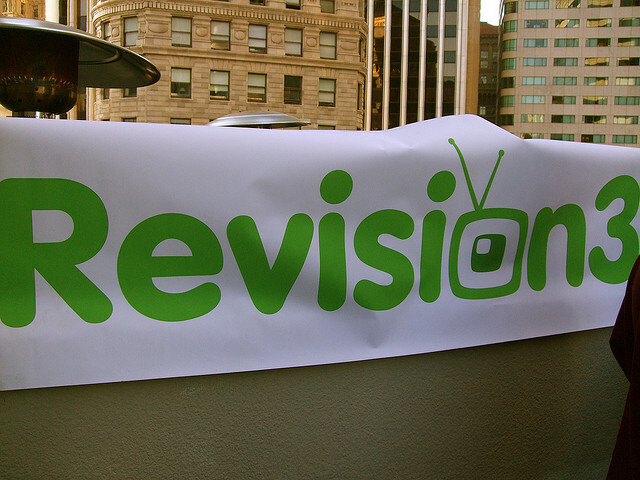 Revision3 was able to expand its revenue 53% year over year thanks to advertising from big players like Ford, Doritos, EA, Verizon, Sony, T-Mobile, Citrix, Gamestop, HTC, About.Me and Samsung. We had another amazing year in 2011, and are looking forward to a strong 2012 with our content available anywhere and everywhere. By working with incredibly talented content creators, we have been building a stable of shows that deliver audience numbers as big, or bigger, than most cable shows. And as we look at the web video space, we continue to be the only company that monetizes web-original video at or above traditional television rates, with a current average yield per view of more than $30. With 2011 behind Revision3, the company started off 2012 with a week that saw 9 million views during its original CES coverage. By sprinkling in over 200 pieces from the Las Vegas show into its programming, the company was able to do what it does best, which is advertising and product placement. In addition to strong revenue and viewership, the company also deployed a video player completely in HTML5 that has helped them grow on tablets and the iOS platform, which doesn’t support flash. The company clearly understands that distributing its content with ads in place is the way to go, and Revision3 can be found on a ton of devices thanks to apps for Google TV and Roku.